Celebrity Hairstyles: Short Hair Styles are HOT! Short Hair Styles are HOT! The big trend today is to go short with your hair style. Celebrities everywhere are showing up at celebrity events with short and sassy hair styles. Some of the styles feature long layers, choppy bangs, side swept bangs, bobs and more. 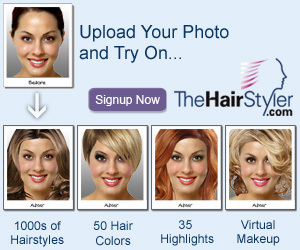 Find out which short hair style is your favorite at Hair Resources.